Tour Guide: Robinson began her career in preservation as a volunteer docent with HCF’s Festival of Houses. Later, as Festival director, she expanded the annual event to include garden tours. “The festival today is as popular as ever and remains one of our top educational programs,” she says. Open Forum: “Public engagement is at the core of what we do,” says Robinson. 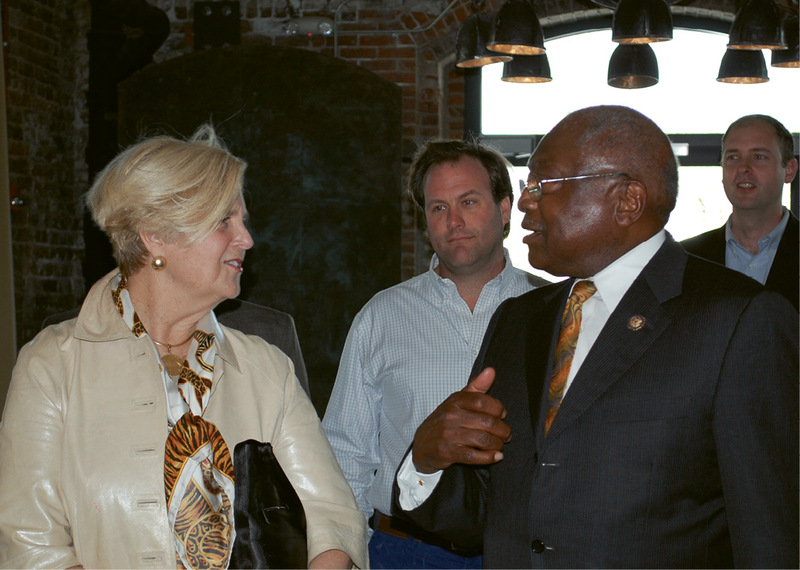 To that end, HCF has worked to ensure residents are informed by hosting forums led by national thought leaders. ...hotels and tourism, and transportation. 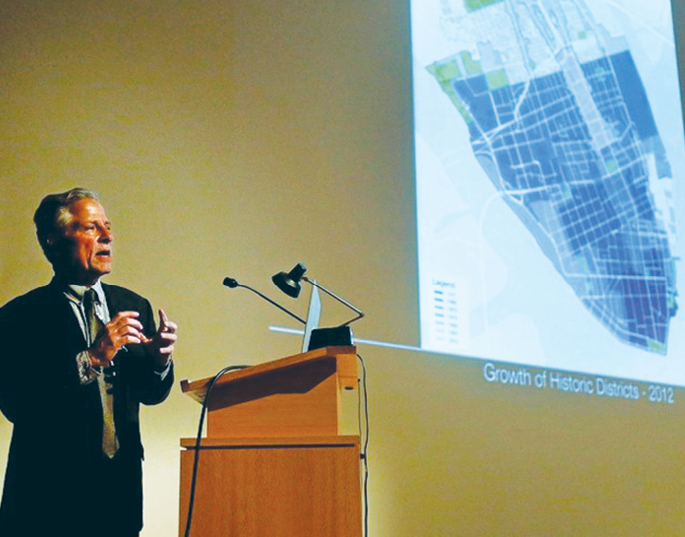 Renowned architect and urban planner Andrés Duany presents his recommendations of changes to the Board of Architectural Review in 2015. 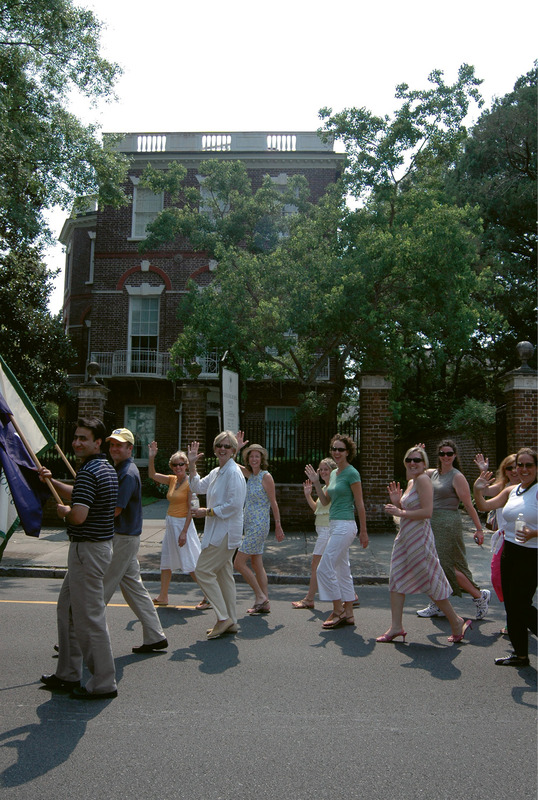 Robinson and staffers parade for Carolina Day in 2010. 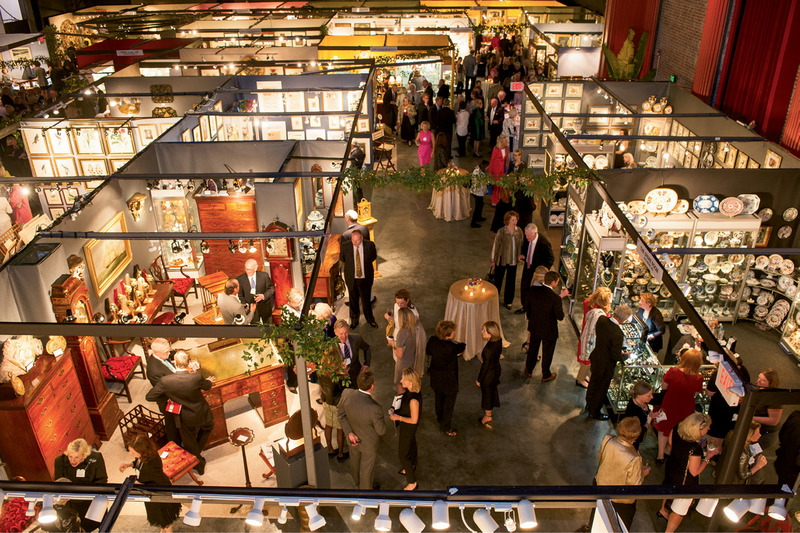 Robinson created the popular Charleston Antiques Show (pictured above in Memminger Auditorium) , and the days-long event has been held every March since 2004. 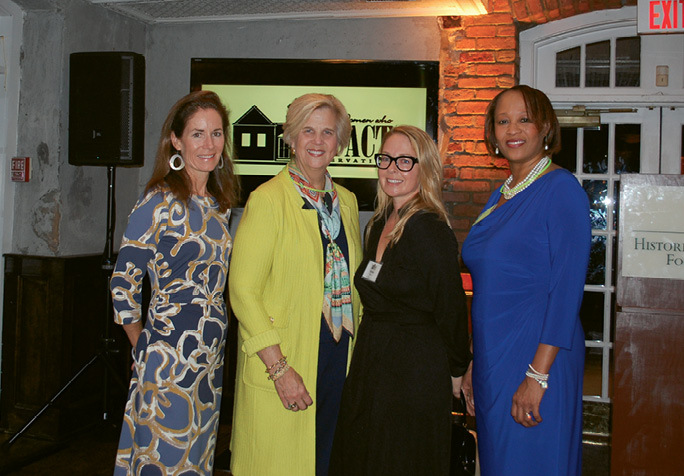 The money raised supports HCF advocacy and preservation programs. Land Trust: Among a consortium of nonprofits to whom Mr. Willie McLeod bequeathed his family land, HCF bought out the other entities and held the property for 18 years, waiting for the right preservation-minded buyer, ultimately the Charleston County Parks and Recreation Commission. 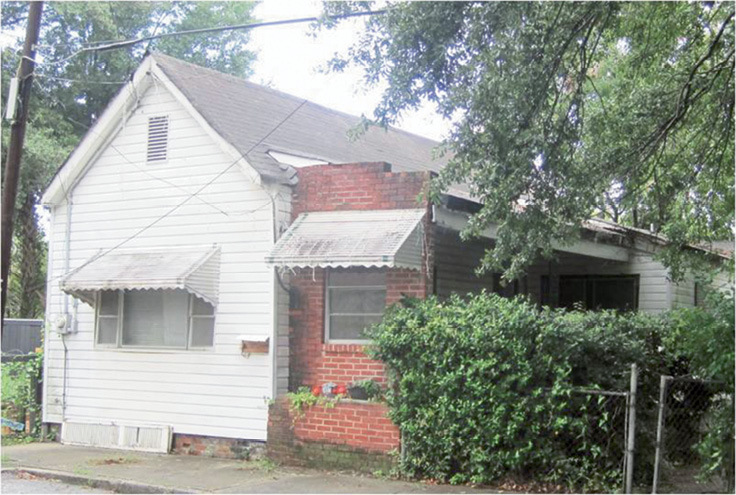 Growing Livability: When HCF was founded, preservation was focused primarily in the historic district, in Ansonborough and South of Broad. 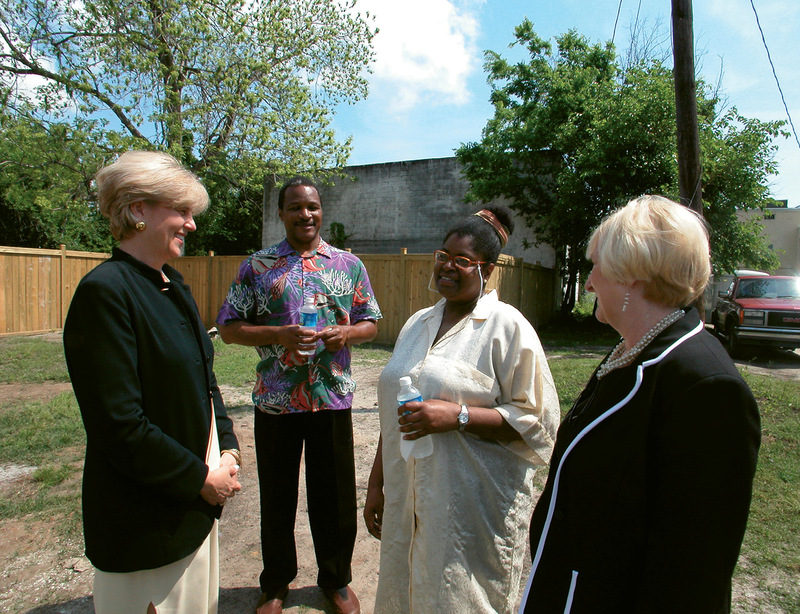 Under Robinson’s leadership, HCF’s Neighborhood Impact Initiative has extended efforts to the Upper Peninsula, where HCF supported the creation of the Romney Street Urban Garden as a community gathering spot. 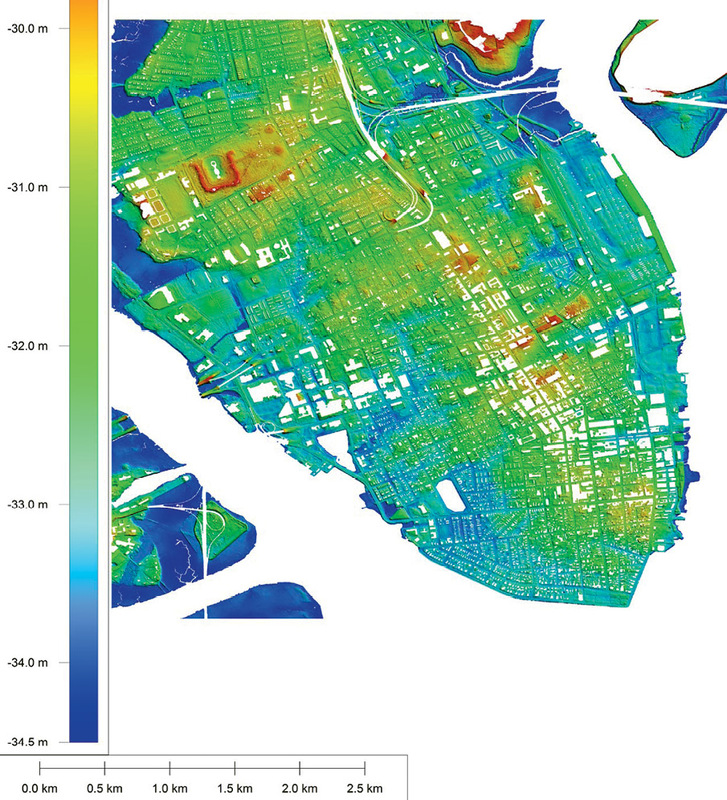 Impacts Large & Small: Preserving Charleston’s historic character means tackling issues such as gentrification and affordable housing, as residents whose families have lived here for generations are impacted by rising real-estate prices. HCF has used its Revolving Fund to preserve and restore freedman’s cottages on Lee Street, homes not nearly as grand as Battery beauties but equally vital and significant. Looking Forward: Robinson may be stepping down, but she’s not slowing down. She’ll remain active with many community boards and committees, including the International African American Museum Board, and she’s excited for what’s next for HCF. “I have great confidence in our Board of Trustees and the expertise of our staff. Their capabilities are enormous,” she says. In the spring of 1971, Charleston’s azaleas were bright and perky; her secret gardens as intoxicating with bloom and mystery as they are today, but perhaps just a bit more “secret”—if only because Charleston itself was. The city was not yet a tourism mecca, dominating international “Best City” categories. Far from it. Her grand dame buildings were stately and handsome—if not as primped and polished as today; her lush gardens tended with love—though more by ad-hoc green thumbs than professional landscaping squadrons. But her streets were a mix of “Oh, wow” and “Oh, no,” with plenty of downtrodden lots and derelict corners crying out for TLC. Enter Katharine “Kitty” Robinson, a honey-drawled, ever-poised daughter of the South (though born in Montclair, New Jersey, she’s quick to add) who grew up in Montgomery, Alabama, and attended the all-women’s Converse College in Spartanburg. “There I had the good fortune of meeting and marrying the most wonderful man from this most amazing city,” Robinson says of her husband, Randal, a native Charlestonian and at the time, an Army helicopter pilot. 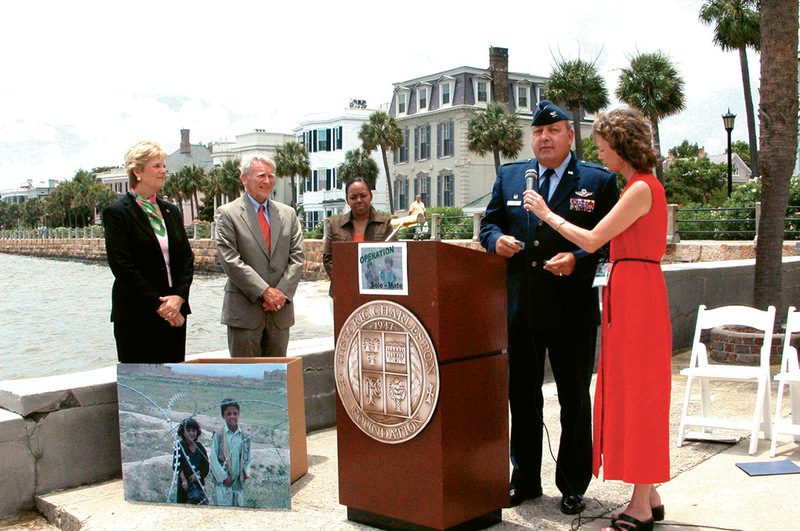 After completing his service, the young couple returned to the Lowcountry and bought a home on New Street. “I’d never heard the term ‘single house,’” Robinson admits. 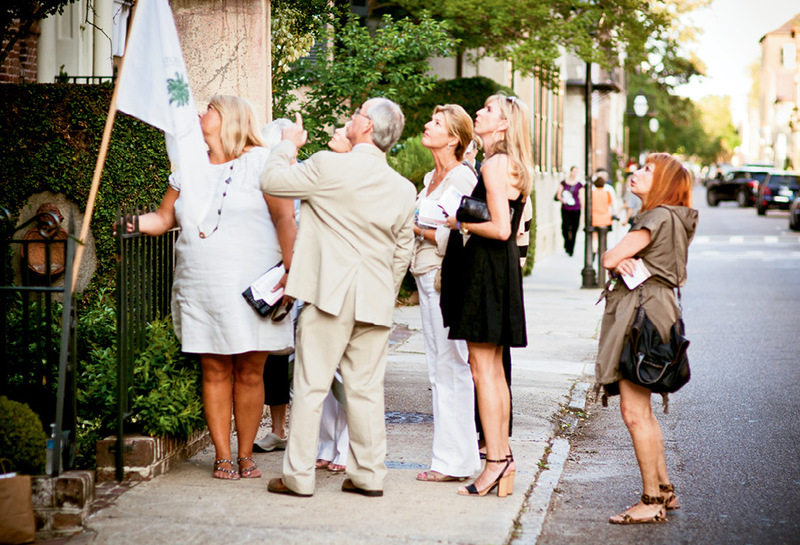 Her next order of business was to transfer her Junior League membership from Montgomery to Charleston. Her first community volunteer placement with the League: serving as a docent for Historic Charleston Foundation’s Spring Festival of Houses. And the rest is history, or Charleston’s future, or actually both. 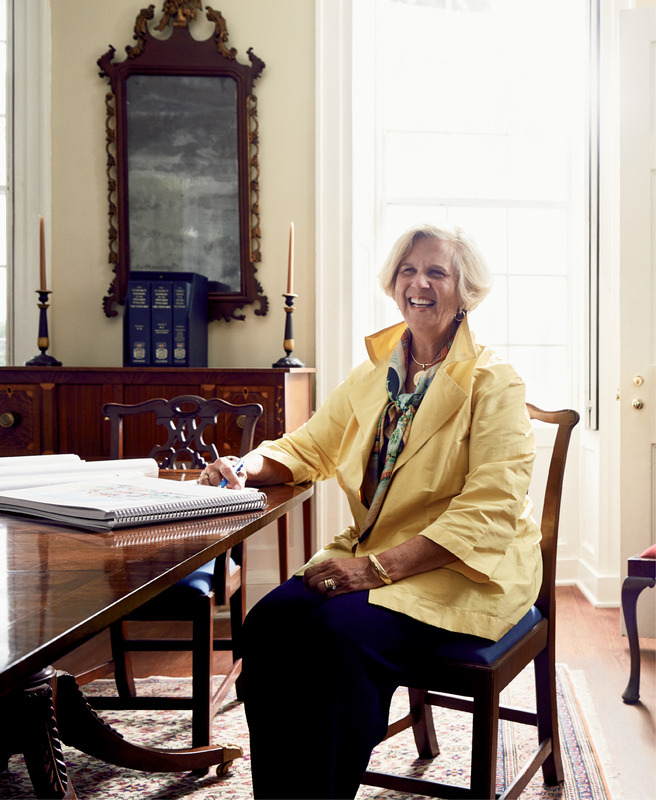 The word “docent” comes from the Latin docere, to teach, or as Webster defines it, “a person who acts as a guide.” Which is exactly what Kitty Robinson has done in her adopted hometown for more than four decades. 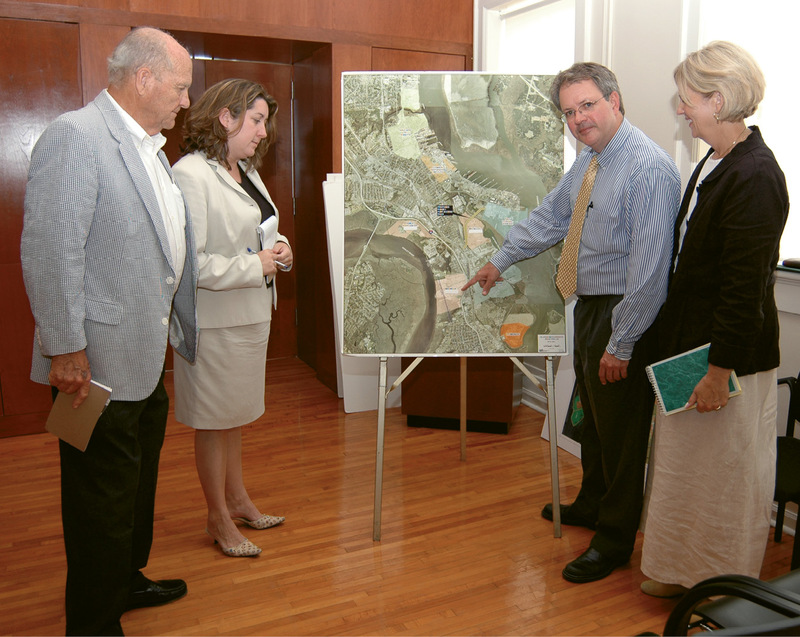 As part of Historic Charleston Foundation (HCF) for much of that time, including serving as president and CEO for the last 17 years, Robinson has guided this historic city into a dynamic, thriving future, and in many ways, she has taught us, too—taught lessons on leading with equal parts vision and grace; taught us how to stand strong and stay true to a mission; taught us that preservation can be as much about our days ahead as days gone by. 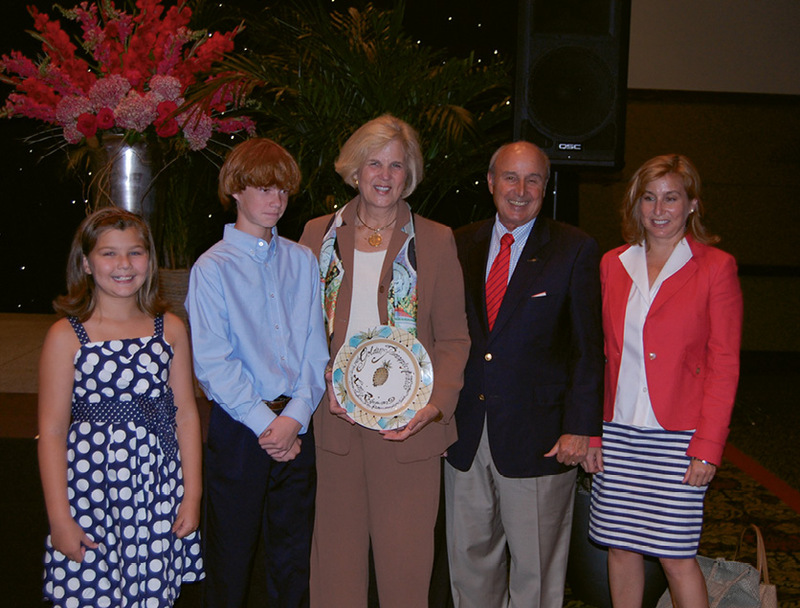 And most importantly, she continually guides us through complex challenges related to testy growing pains, all the while teaching us that civility, respect, and yes, Southern charm, can be an advocate’s most strategic weapons. “When we arrived in the ’70s, Charleston was slower, smaller, a little tired, and definitely not the thriving city we see today,” Robinson recalls. But she was smitten, nonetheless. “I was fascinated by the city and the Festival of Houses. I loved learning the history—everything I know about preservation I’ve learned by osmosis, starting as a docent,” she says. 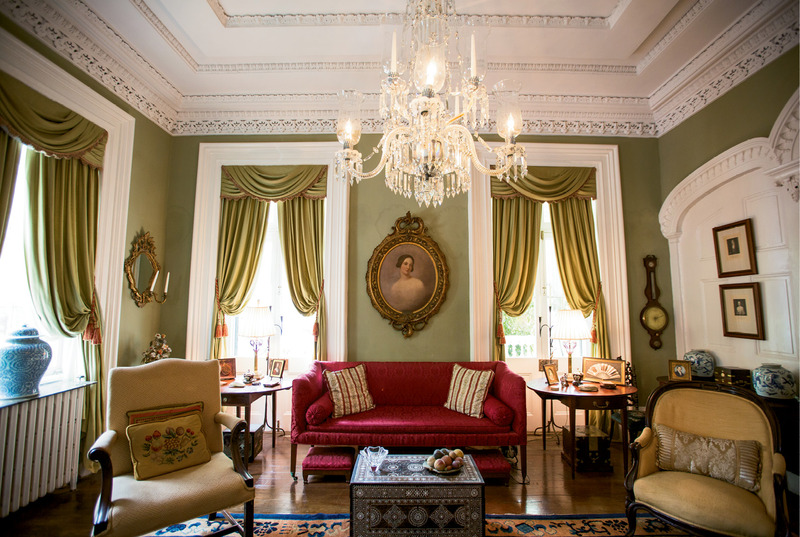 At the time, the Foundation’s annual festival drew hundreds and hundreds of visitors for tours of private historic houses and was the biggest revenue generator and best-known educational program of the venerable preservation organization. Before long, Robinson was asked to serve as the festival’s volunteer coordinator, corralling and organizing some 600-plus volunteers, and soon she became the festival director, a position she held from 1987 to 1993. During her tenure, Robinson expanded the program to include a “Glorious Gardens” component that became the month-long event’s most popular draw (it’s now called the Festival of Houses and Gardens). 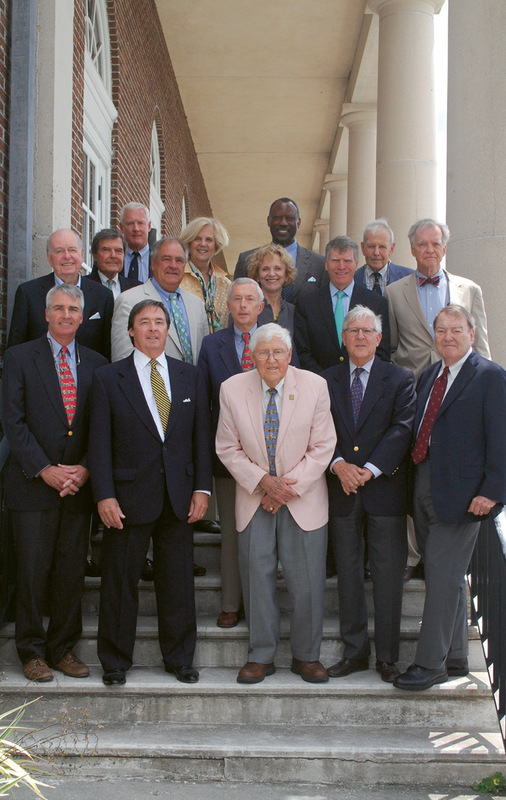 Under Robinson’s leadership, Historic Charleston Foundation, a South of Broad mainstay since Frances Edmunds founded it in 1947, has been steadfast in carrying out its mission of “preserving and protecting the architectural, historical, and cultural character of Charleston” and of education and advocacy. But thanks in large part to Robinson’s future-forward approach to historic preservation, HCF is far from a stodgy, nay-saying organization for those who fancy antiques and garden teas. Yes, she guards the city’s character with time-honored tenacity; yes, her museum houses are impeccably maintained and manicured, but more and more Robinson, in tandem with an engaged board of trustees and her staff, has nudged the Foundation beyond polishing antiques and toward pushing the envelope on tough civic conversations: traffic and transportation issues, affordable housing, cruise ship regulation, sea-level rise. 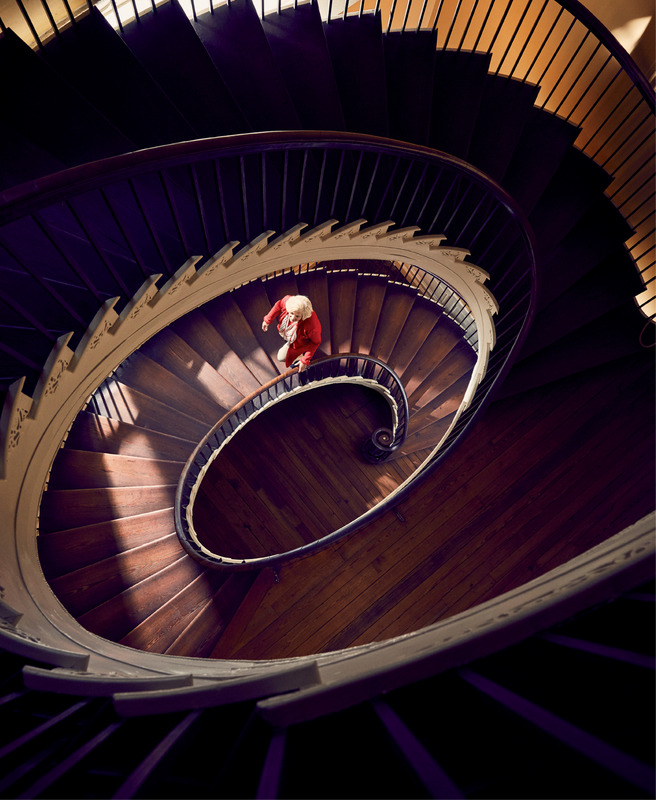 In many ways Robinson is like the iconic free-flying staircase at the Nathaniel Russell House, one of the Foundation’s two museum houses—her elegance and graceful presence belie a staunch sturdiness. She’s constantly elevating the conversation, ascending to the next level. 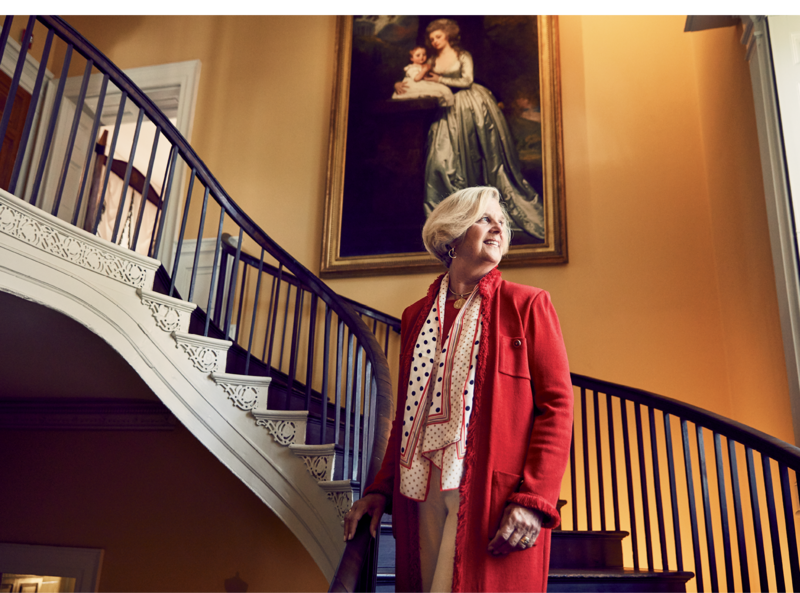 And yet, ever the docent, she’s also playing hostess, welcoming visitors or VIP guests, pointing out the architectural marvels of, say, that staircase or the provenance of an antebellum portrait. And more evenings than not, she’s likely to leave a cocktail party or Foundation donor event, then head perhaps to a Board of Architectural Review (BAR) meeting or a contentious hearing at City Hall, polite and unflappable in whatever setting she finds herself. 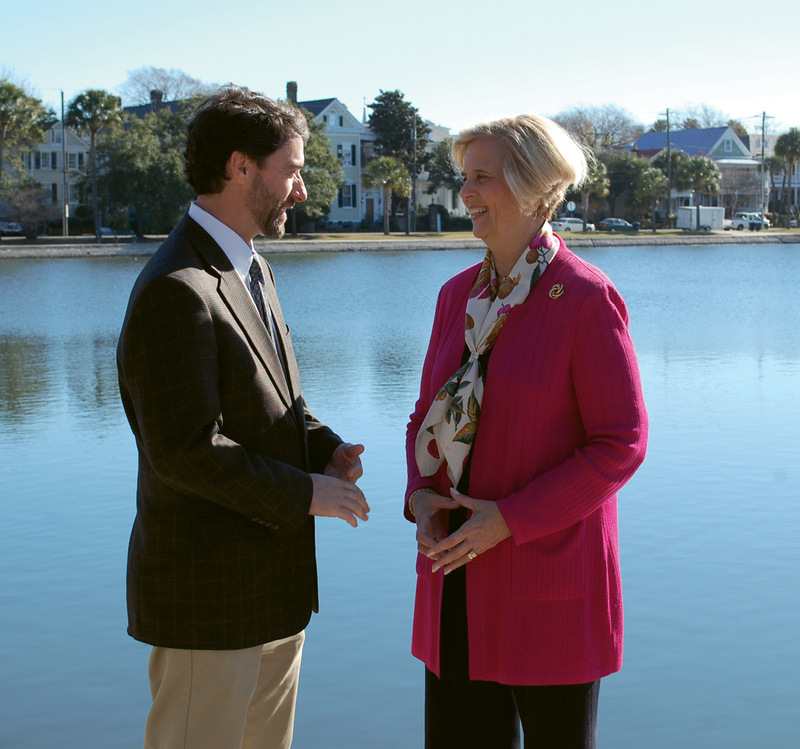 “The Foundation has a vast interest in the future of Charleston,” says Robinson. 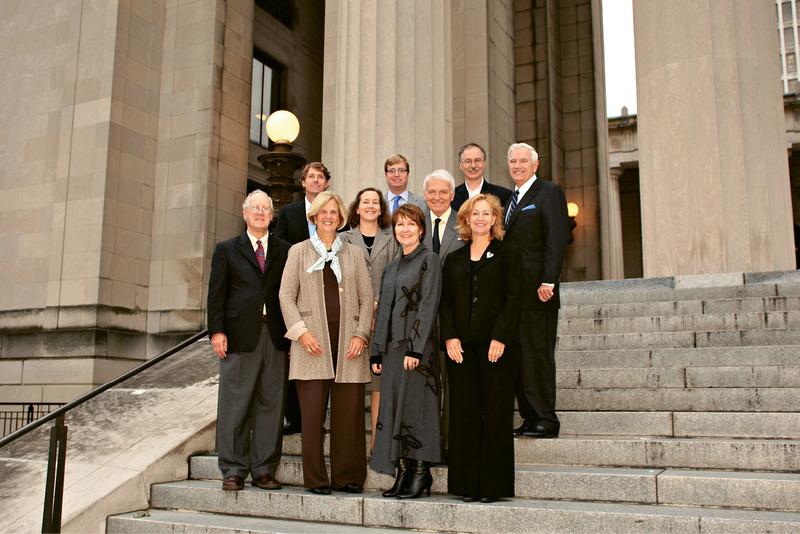 “We will always be in the business of protecting the city’s historical architecture and character, but at this juncture we are equally interested in public engagement and shaping how the city grows,” she adds, pointing to debates on building height and hotel ordinances in which HCF has taken the lead, as well as revising the city’s tour guide manual and tourism regulations. 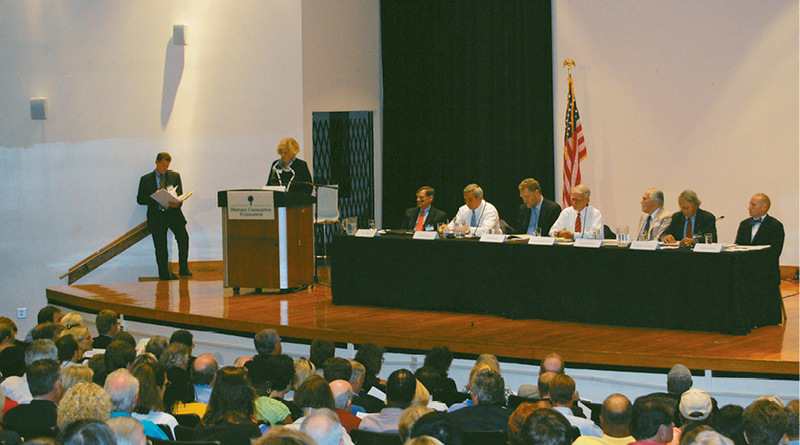 In the past few years, the Foundation has brought in national experts and thought-leaders to headline community forums designed to educate and engage the public on pressing issues, including a Mobility Forum in May 2014 and a Hotel Development Forum last spring. Robinson’s concerns and priorities for the Foundation’s agenda are a litany of big, messy issues: reengineering the Battery wall as one component of addressing flooding; short-term rentals; the proliferation of hotels; and, of course, traffic and transportation—which, she notes, “is part of almost every conversation, but it all comes under the umbrella of ‘quality of life’.” To that end, the Foundation brought noted transportation expert Gabe Klein to town to assess mobility challenges and present recommendations to the city. Klein’s report made bold suggestions, including reinstating a streetcar/trolley system, restricting downtown parking, developing a network of protected bike/ped lanes, and moving the Visitor Center further north on the peninsula where satellite parking would be plentiful. Actions like these would shift our current entrenched, car-centric region to one in which private automobiles would account for only 46 percent of the peninsula’s mode share by 2024. 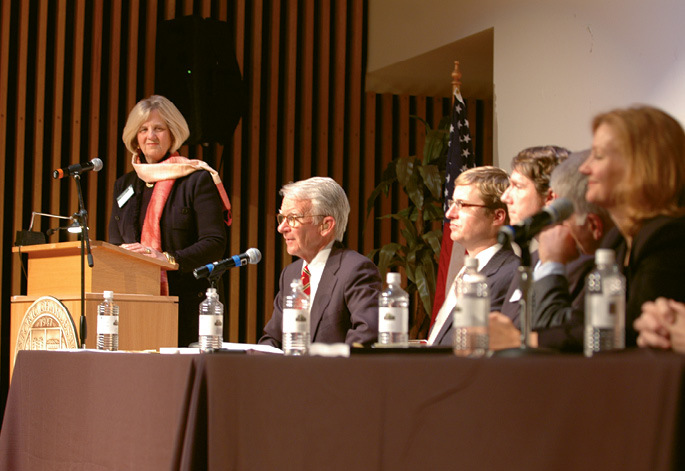 A concern at the top of Robinson’s list is “housing affordability and residentiality,” she notes, pointing to the pressures of gentrification and the fact that those working service-oriented jobs, many of them tourism related, can’t afford to live near their place of employment, which, in turn, exacerbates the region’s mobility issues. 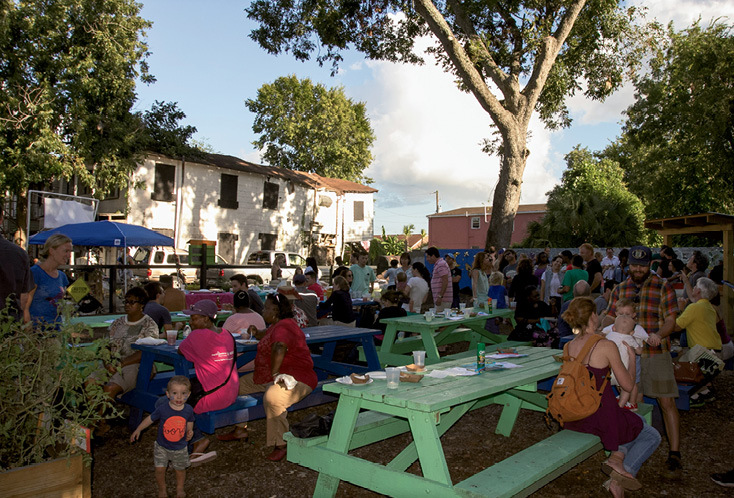 The Foundation has taken the lead in preserving properties on Lee Street and in the North Central neighborhood as affordable housing, and through its Neighborhood Impact Initiative helped fund an urban garden on Romney Street as a community asset. “We want to be focused on keeping neighbors in those houses. It’s so hard to stay ahead of the growth,” says Robinson. She is particularly proud of the Foundation’s efforts in partnership with the City and other stakeholders to create a Community Land Trust as one tool to address housing affordability; in honor of HCF’s 70th anniversary this year, the Foundation made a $70,000 gift to the city to purchase property held by this trust. In a career as long as Robinson’s, there are inevitably highs and lows, wins and losses. Most recently, the Beach Company’s proposed redevelopment of the Sergeant Jasper property, the 1940s-era high-rise building at the edge of Colonial Lake, entailed a long, hard fight in which the Foundation ultimately did not prevail. The Beach Company’s plans call for an 18-story building and other mixed-use development, including a large grocery store, and HCF among others argued that the mass, scale, and proportions of this new design were not in keeping with “the historic features that characterize its setting and context,” quoting from an excerpt of the City’s preservation code upon which they based their position. “Just because a poor planning decision was made in the late 1940s to allow the construction of the existing Sergeant Jasper building does not mean that we need to repeat, or indeed intensify, this prior mistake,” the HCF argued. In the end, the Beach Company received approval for their redevelopment plans, which HCF fought, but the BAR’s future oversight powers were protected. The battle left bruises among the preservation community, but Robinson isn’t one to lick wounds. “We learn from our losses and move forward,” she says. During Robinson’s tenure, HCF’s wins and successes have far outnumbered disappointments like Sergeant Jasper. 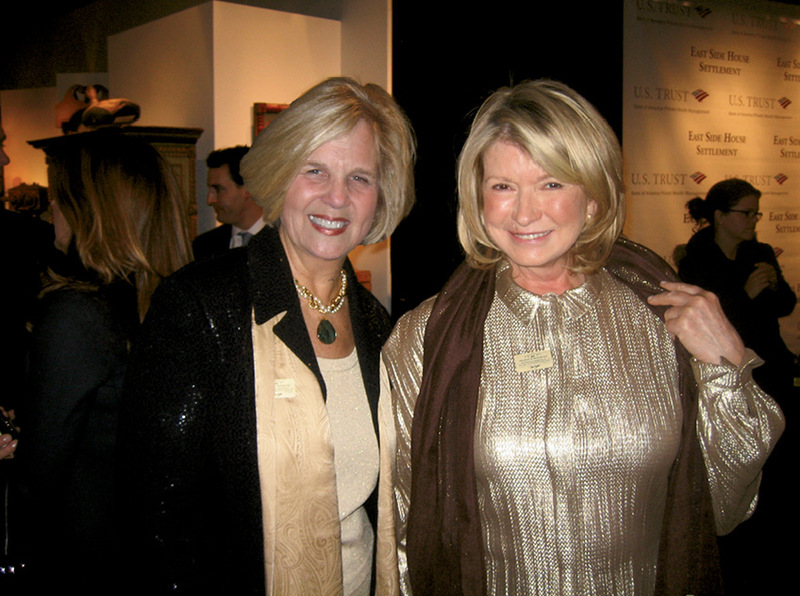 Among the many high points of her career, Robinson points to the “pinnacle” moment of the 2011 Winter Antiques Show in New York City in which Historic Charleston Foundation was invited to present the centerpiece loan exhibit. “The opportunity to be the focus of arguably the world’s premier antiques event raised the Foundation’s international profile,” she says. 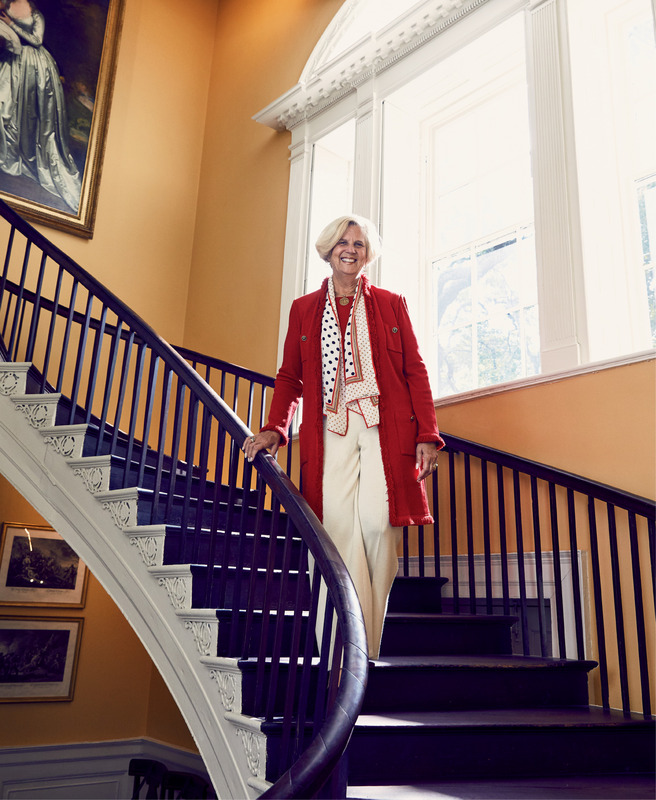 “We are still seeing downstream benefits from that, people who visit Charleston and support our work who were first introduced to our incredible collection from that show.” Robinson credits the success of the Foundation’s annual Charleston Antiques Show, which she created, as yet another positive ripple effect from the New York event. 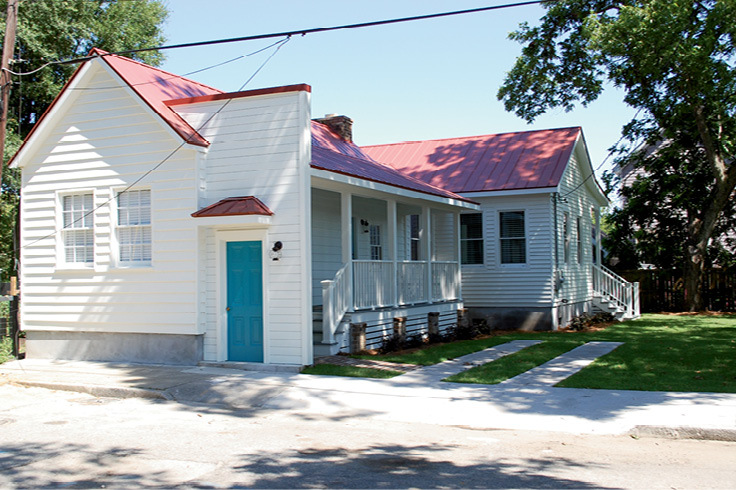 And she looks to the Foundation’s stewardship of McLeod Plantation on James Island as one chief preservation success story. 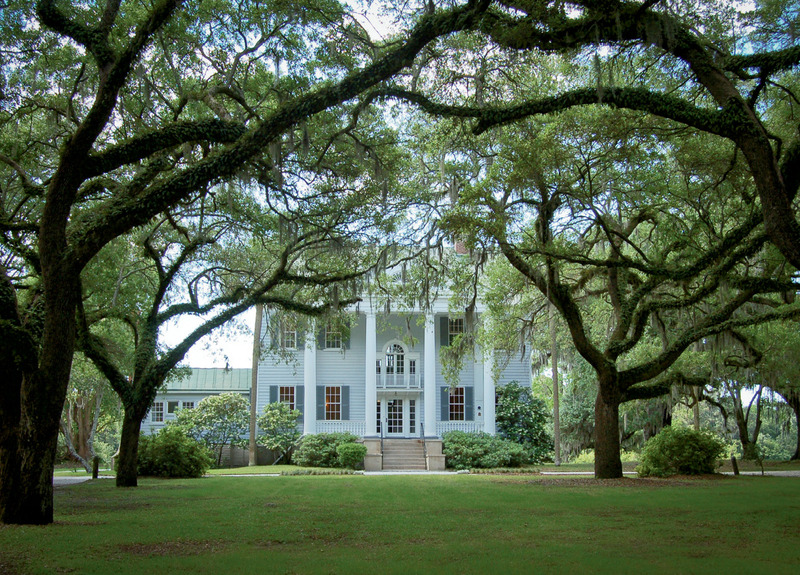 Willie McLeod bequeathed his circa-1851 family home and 37 acres of former plantation grounds, complete with intact slave cabins and oak allée, to a group of 12 or 13 entities. Each shared a desire to preserve the property, but it was unwieldy and unsustainable to do so collectively. Using assets from its innovative revolving fund, HCF was able to buy the others out. “Our goal was eventually to sell it to a preservation-minded buyer who would keep it accessible to the public,” explains Robinson. At one point the Foundation sold the property to the American College of the Building Arts, but soon thereafter bought it back. “We held it and held it for 18 years. That’s good work,” she says. “It wasn’t easy to hold on to it. 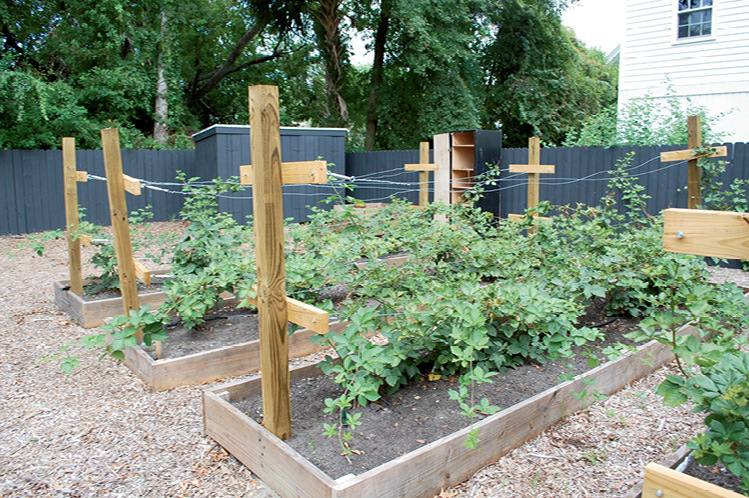 But we did, until the right buyer (in this instance, the Charleston County Parks and Recreation Commission) came about.” The Foundation made a similar investment in Mulberry Plantation, preserving both historic properties and ensuring their preservation for perpetuity. “I’m proud that the general population knows they can count on us to do the right thing,” says Robinson.